There is something to be said to hanging with food allergy peers. There is a level of comfort, there is a level of trust and of respect. After all we are all fighting the same battle, in our own way. Every morning we wake up and know that we need to be extra diligent when it comes to eating. Its not like a diet, when you can have a cheat day. This is every day! When you can surround yourself with people that get this, it automatically gives you a great peer network where you can share ideas and tips. 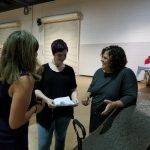 Nikki Everett with the Gluten Free and Allergy Free Wellness Event has given this Allergic Traveler the opportunity to blog and hang with some of the greatest bloggers in our industry , like Tracy from Nutrimom and Chelsea from Gluten Free Chelsea for instance. Aside from the fact that I blog at Nikki’s events, she also organizes a blogger dinner before each event which I attend. 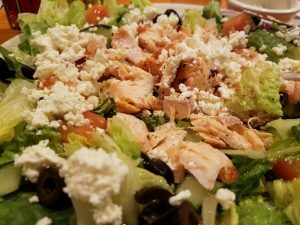 These dinners can be rather tricky for restaurants as typically there are multiple people at the table that have food allergies or dietary restrictions. We all take it in stride though as we have been here before. The process is always the same. We know that our table will take longer than anyone else’s. 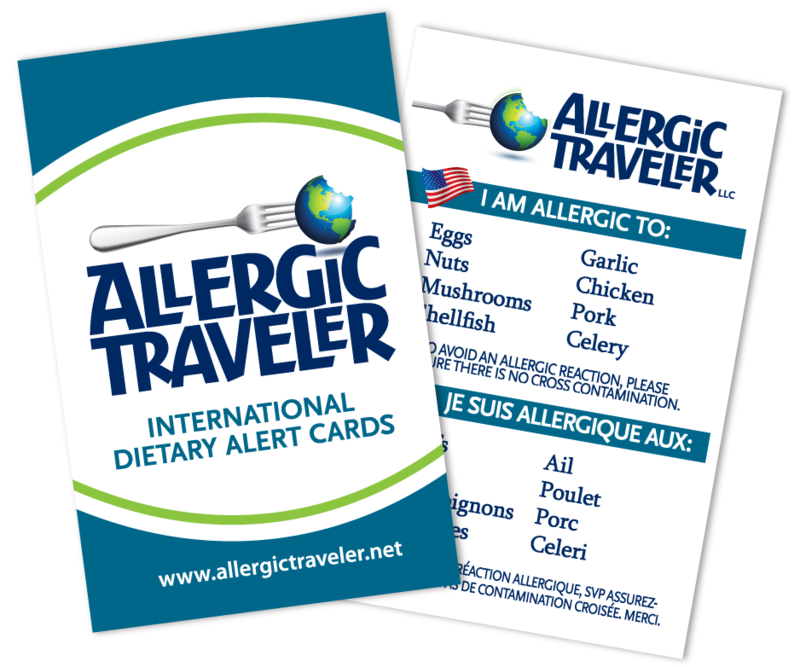 Everyone knows that I will always be handing the waiter my Allergic Traveler card. And there is always someone at the table that says “hey – that’s a great idea to hand them a card with your food allergies on it.” Thanks, I think so too! Midtown Café and Dessertery in Winston Salem did an excellent job taking care of us. A few people at the table were gluten free, others were dairy free and then there is myself who has an extensive list of food allergies (eggs, nuts, mushrooms, shellfish, garlic, soy, pork, chicken, sesame, celery and most fruits). Inevitably, we start trading tips and horror stories. We compare notes on things like which restaurants are safe, which foods are good substitutes and how we keep our house safe when our allergens are eaten by other members in our family. These are just some of the things that we deal with daily. To be able to discuss this freely with others is truly priceless. The extra bonus is that Nikki also puts on a great show with allergen friendly vendors. 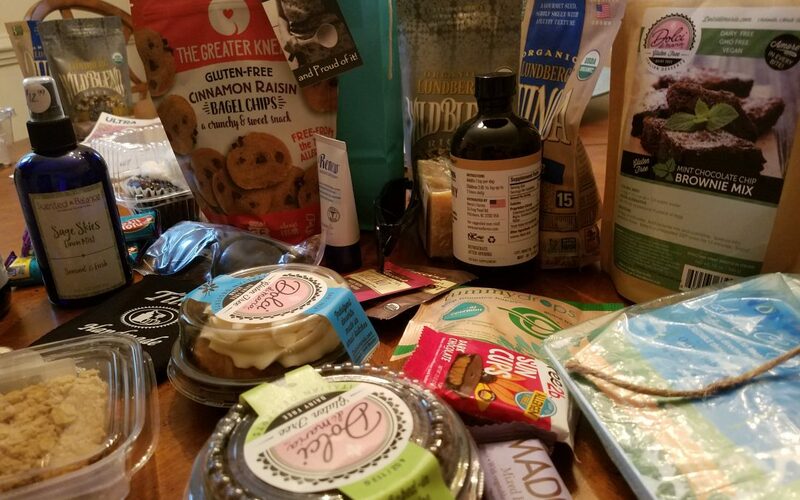 Local companies as well as nationwide companies come to her shows to share with us their goodies that do not taste like cardboard! If you have not been to her shows, I highly recommend them. The next one will be in Raleigh on August 11. If you are a blogger, you should also reach out to her. 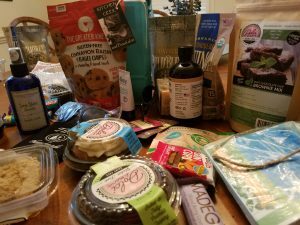 She takes very good care of her bloggers because she knows how important it is for us to share our experiences with others, whether it be from the food allergy world or not. 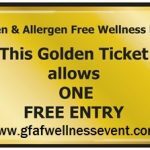 Allergic Traveler is giving away a set of tickets to the Raleigh show. For your chance to win, simply share this post on any social media site. Stay tuned for an upcoming blog post about all the products and future giveaways. I am in the process of tasting each one gingerly. It’s a tough job, but someone has to do it!